The medical marijuana industry is booming, and that means some serious job creation. There is, however, some major competition from people who look how to get a job at a dispensary. According to many, the industry is poised for incredible growth. There may be some serious competition, but it isn’t impossible to find a job at a dispensary. There are several roles you can fill, and like any position, you can work your way up the ladder over time. So, you’re dying to know how to get a job at a dispensary? Read on for some practical tips and tricks to help you land a job you’ll love. When you first began to look up how to get a job in a dispensary, you might not have known what exact role you wanted to perform. Instead, you might just have a feeling that this is an environment you think you’ll thrive in. You might be an asset to the industry, but narrowing the job down to your specific skill set is incredibly important. If you already have experience in retail, you could find yourself working your way up from the bottom. Dispensaries are, after all, businesses. They need people to not only sell cannabis, but also process transactions. Cashier jobs are never in short supply in most industries, the cannabis industry included, though the cashiers are known as Dispensary Agents or Budtenders. You might also work as a dispensary store manager, keeping day-to-day operations running. This job is also ideal for someone with sales management experience. Other jobs in the cannabis industry include working as a master grower. The master cultivator is also the person responsible for speaking with state inspectors and keeping the proper paperwork and records on hand. These are people who grow and cultivate marijuana in its various strains and forms. They can make upwards of $100,000 a year, so it is definitely a career to aspire to. You can also work as a bud trimmer, which is one of the lowest paid jobs in the industry. However, you can still command a salary of $10-$12 an hour, which isn’t bad for an entry-level position in a new industry. As a bud trimmer, you’ll trim the harvested cannabis plants to prepare them for the dispensaries. While being a bud trimmer isn’t all that glamorous, it is a great way to start learning the cannabis trade from a practical perspective. You can do this while you learn more about skilled jobs the industry, like a master cultivator or an extraction technician. This specialty job deserves its own category, simply due to its uniqueness. Extraction technicians are often highly educated (many have advanced college degrees) and are experts when it comes to extracting cannabinoids and terpenes from cannabis. Machines exist to do the actual extraction, but a machine has the same nuance as an individual. Someone must know how to run these machines and know how to fix them when not working properly. The technician can also ensure that those purchasing marijuana are purchasing exactly what they have asked for which will give them the cannabis extract product they desire. These technicians can command a pretty hefty salary for their services; some earning up to $150,000 or more a year. Research several dispensaries in your area before you start looking for a job in the industry. Learn about which dispensaries are in your area, if they are currently open, when the expect to open and if they have a hiring plan in place. Some budtenders and cultivators, now have certifications. This is a great way to get your resume noticed! It’s pretty simple, if you have the same experience as someone else, but have taken the initiative to seek out cannabis training, you will certainly be interviewed first over the other person who does not have any professional cannabis training. 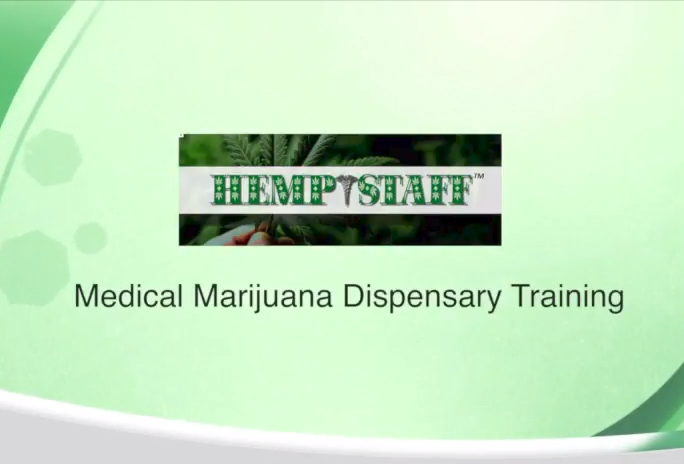 While some programs are providing wealth of knowledge, such as HempStaff’s Dispensary Agent Training Course, others are not recommended simply because they are too “easy”. Make sure you know who created the course, who is teaching the course and how many years’ experience they have in the legal cannabis industry. At the moment, there is no national budtender or cultivator course or regulatory board since cannabis is a Schedule I Substance. Many courses on the market do not give you enough information to properly train you to do the job well, so make sure you do your research when selecting a training course. In the future, the industry hopes there will be a regulated course or materials so that all growers and dispensary workers will come to interviews prepared to work. As stated above, starting out as a cashier (budtender) or a bud trimmer could be a good way to learn on your feet and help your career advance. One day, you could be commanding over $100,000 after learning your skill set. If you are looking to get a job in a dispensary, knowing a lot about cannabis products can really help you get your foot in the door, and you can always learn more. Learning what cannabis products are good for which ailments is particularly useful. 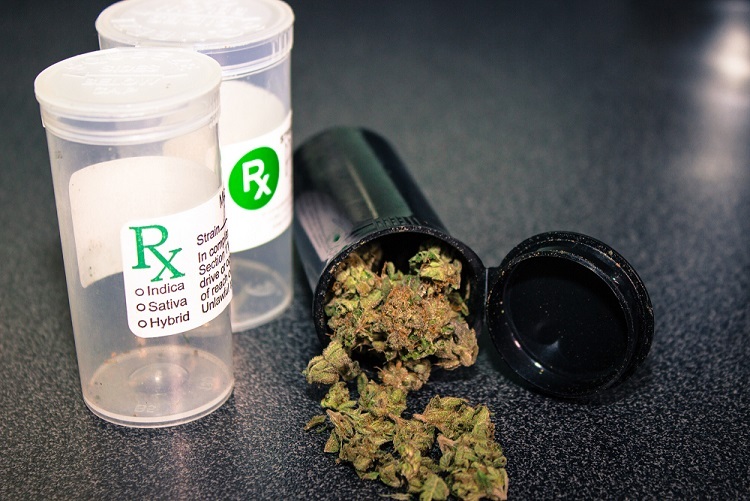 When customers come in, they may be anxious or nervous about trying medical marijuana. This is especially true if they have never used cannabis before. Your job is to both reassure and show them which products work the best for their problem. Working at a dispensary means your clients need to learn to trust you and your knowledge. They gain that trust by purchasing products that you recommend that work. Therefore, you need to come to interviews prepared to give excellent advice and demonstrate your knowledge of the plant. As with any industry, you’ll want to know all about the latest and greatest products available. Make sure you’re up to speed on everything cannabis before you apply for a job, so you can wow them, and future customers, with your insider knowledge. You’ll want to know what blogs and magazines to read to get all the latest information, as you’ll be passing it on to customers. If you feel confident that you now know how to find a job at a dispensary, browse our website for more information on dispensaries that are hiring. You may be on your way to a rewarding, not to mention lucrative, career.